Pistachio, this is your life. Pistachio, my dearest third, has been a lovely child since birth. He is easy-going, interested, happy to be held, happy to be put down, and he slept through the night earlier than my first two (FTW!). 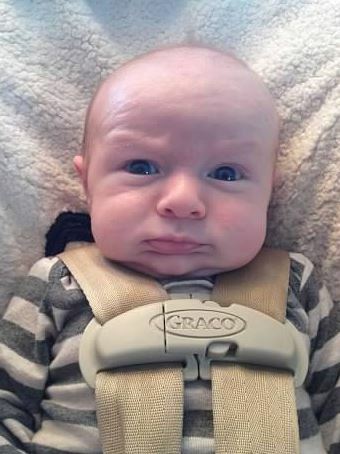 He inherited my expressive eyebrows. Pistachio, yes, sorry, this is your life. Love you little buddy. Thanks for making me laugh. And the sleeping thing – thanks for that, too. this is perfection and spot on! he is very present with you/us… Yesssss! He just might be one of those who sneaks up on people with surprising zingers……And the sleeping thing: YAAAAAAY!!!!!!!! !